Weil-McLain | Willbanks & Associates Inc.
Weil-McLain is a leading North American designer and manufacturer of hydronic comfort heating systems for residential, commercial, and institutional buildings since 1881. Building on a reputation of quality and innovation, Weil-McLain is committed to creating Simplified Solutions for our Complex World™. To learn more, visit www.weil-mclain.com. Weil McLain's hydronic boilers and indirect-fired water heaters integrate the latest in advanced controls and materials including cast iron, stainless steel, and aluminum heat exchanger technologies. Products are engineered with aesthetics, functionality, safety and structural tolerance in mind. By combining their expertise with the responsiveness of support operations, they provide customers with added value and peace of mind. 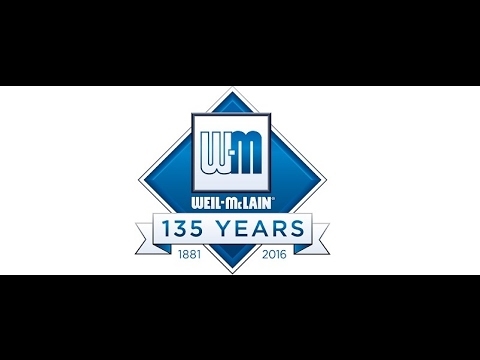 Weil-McLain has been manufacturing boilers since 1881! Learn more about our journey and how boilers have evolved over the decades.